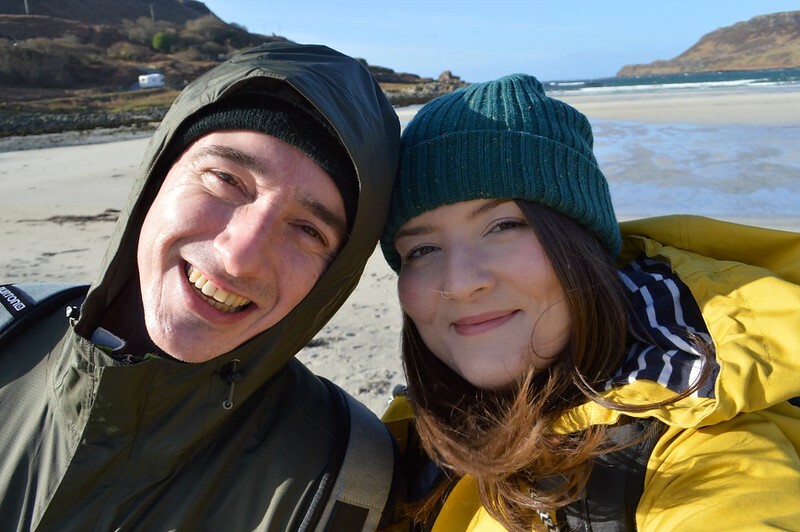 After three days of long distance train travel across the length of the UK, cramming in lots of sightseeing and the hustle and bustle of Edinburgh and Glasgow, Martyn and I welcomed the change of pace during our visit to Mull. We left Scotland's largest city behind and made our way west on the train to Oban. 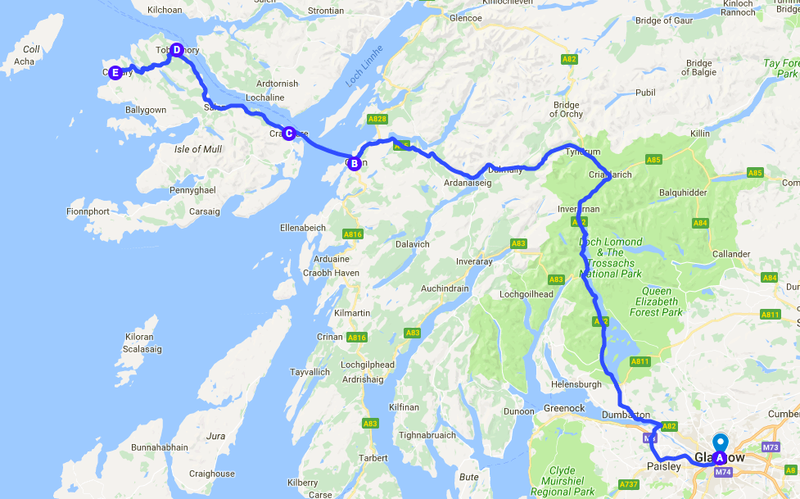 Considered to be one of the most scenic rail journey in the world, the West Highland Line offered some spectacular views but I'll talk about this in more detail in the next installement of my Scotland Mini Tour posts which will focus on Oban and Fort William. 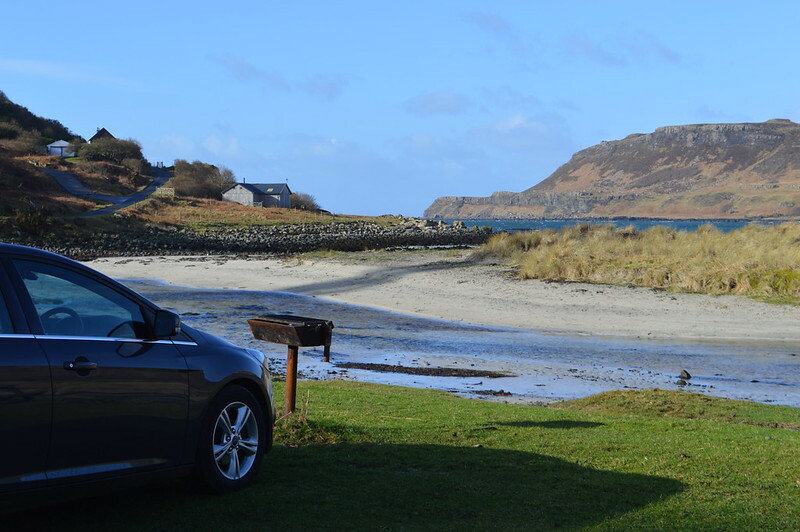 Once we arrived in Oban we picked up our hire car, got some Scottish food supplies (teacakes, raspberry tarts and shortbread) and took the CalMac ferry over to Mull. Luckily we got the last spot on the ferry that day before they stopped operating due to high winds caused by Storm Doris. Mull was wild and beautiful. 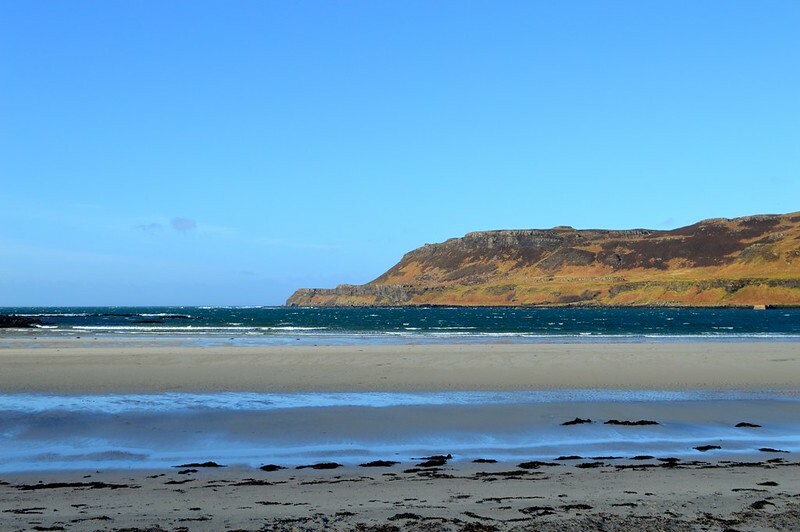 It has a dramatic coastline and excellent beaches, castles and lochs. 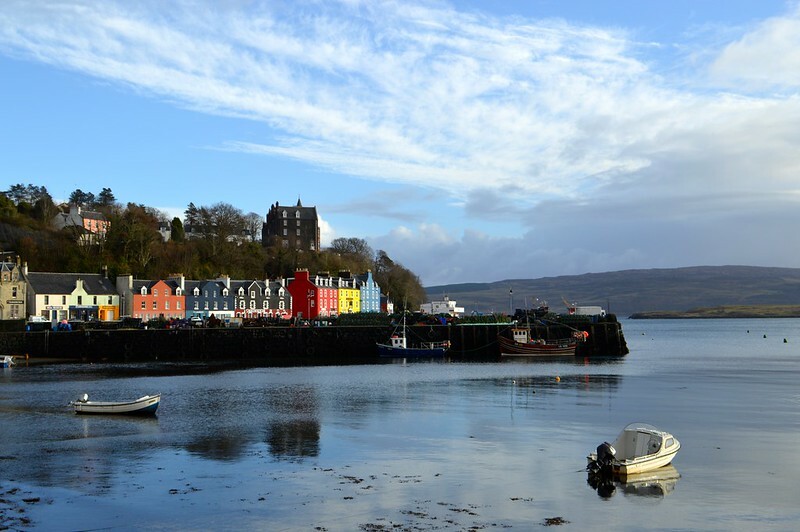 We based ourselves in a pretty harbour town called Tobermory during our stay. You might recognise the distinctive, colourful houses from the Balamory CBBC show. We were blessed with lovely weather during our stay which made driving on the single track roads a little less scary. 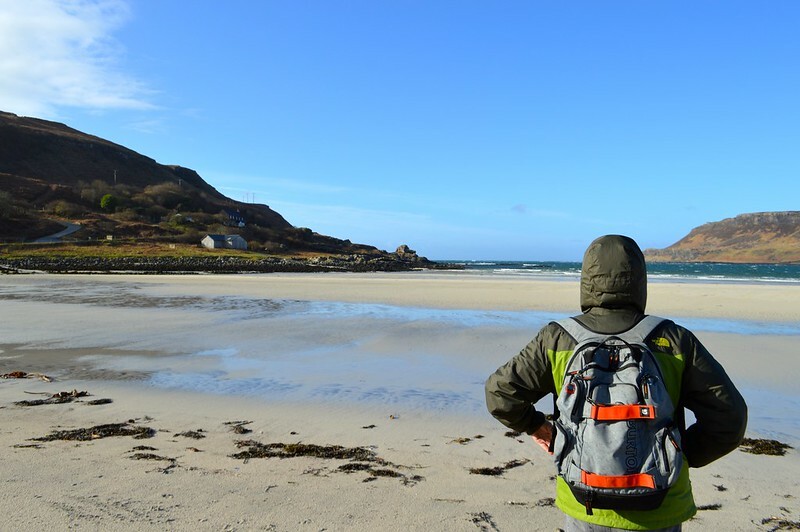 I would love to return to Mull for a week in the future, explore more of the south of the island and get a boat over to some of the smaller surrounding islands like Iona. To find out what Martyn and I got up to, where we stayed and what we ate scroll past the photos. Lots of the B&Bs and cute cottages I wanted to stay in were closed because it was the low season or had a minimum stay that didn't fit in with our plans but the Tobermory Hotel ended up being the perfect place for us to stay during our time on Mull. 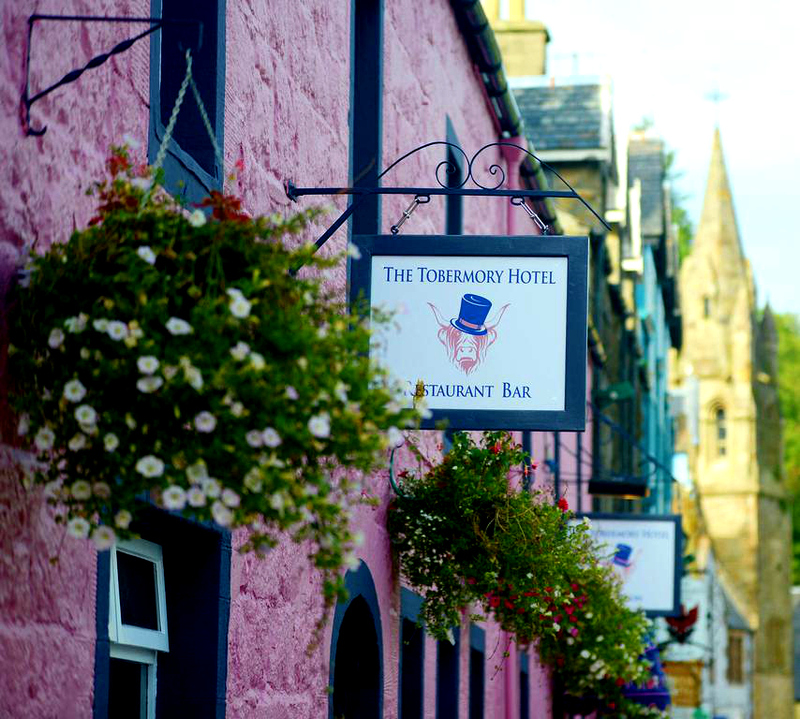 It was set on the waterfront of the incredibly photogenic village of Tobermory and was easy to spot painted in bright pink. It was once a row of fishermen’s cottages and has now been converted into a family run hotel. As you can imagine from a building that is over two hundred years old the rooms were pretty small and the ceilings were low but it had everything we needed for our two night stay. Staff were incredibly friendly and breakfast included some great local produce. (I had my first taste of haggis!) The hotel also had a cosy snug where you can relax and chat to other guests. I recommend booking directly with the hotel for the best rates and a free breakfast. Calgary Bay - This bay was such a tranquil spot with sweeping silver sands, we had the place to ourselves until a solo dog walker joined us. I haven't been to any other beach in Scotland (yet) but I bet this one on the west coast of Mull is one of the prettiest. It rivals some of my favourite Blue Flag beaches in Wales. There’s a car park behind the dunes but a bus also serves the bay. There is a wild camping area overlooking the bay with toilets, a tap and barbecue stands so a perfect place for a pit stop for those travelling in a camper van. Aros Park - Aros Park was a great place for a stroll just half a mile from our hotel in Tobermory. 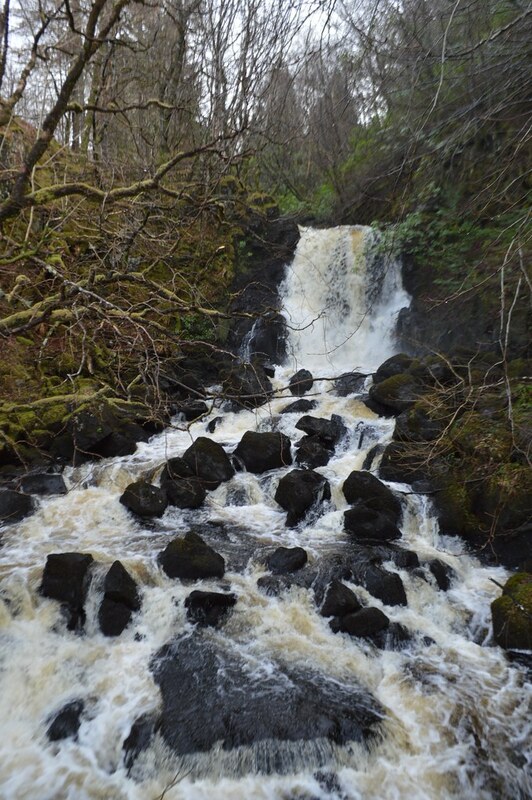 There are fully accessible walks and trails here with superb views of waterfalls and Tobermory. 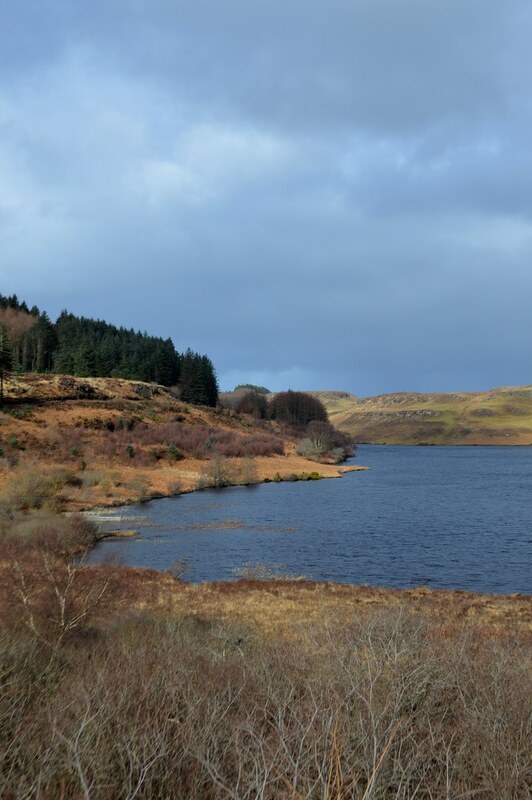 The walks are all fairly short and you won't need a full walking kit to enjoy them, just a pair of good walking boots for the slippery parts. The Aros Park estate once belonged to Alexander Allan, son of a Liverpool shipping magnate. He inherited the land when he was 29 and spent his life improving it and welcoming visitors. The Forestry Commission now manage the park the woodland can be enjoyed all year round. 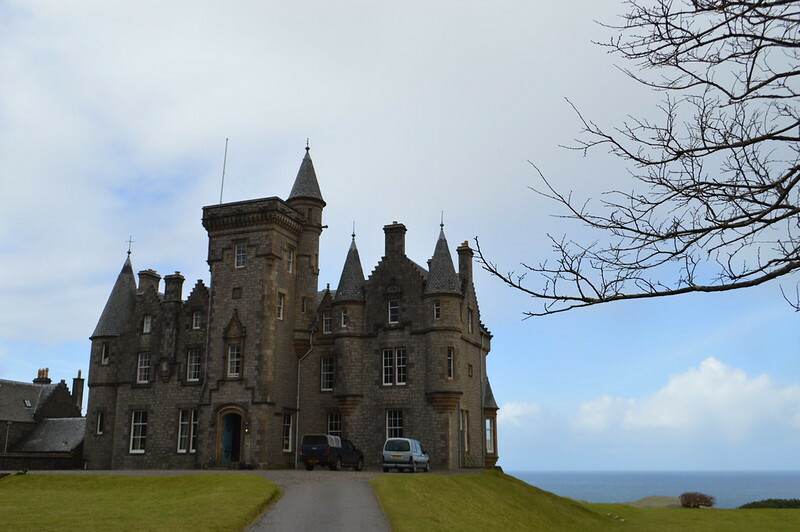 Glengorm Castle - Glengorm Castle is an impressive 19th-century house built in a Scottish Baronial style. 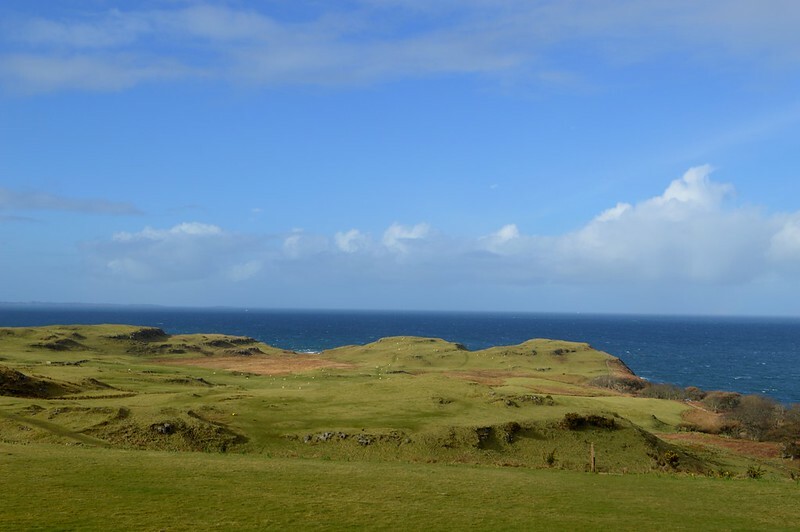 The grounds offer views over the Outer Hebrides and the islands of Rum and Canna. We were lucky enough to heave clear blue skies during our visit and had a wonderful outlook over the Atlantic before the rain came in and we had to dash back to the car. The castle is a private home and B&B but there's a coffee shop open to the public from Easter to November. There are some wonderful places to eat on the island and as you can imagine it is heaven for seafood lovers. I had lots of recommendations to visit Cafe Fish but sadly it wasn't open during our trip. Martyn and I had some fantastic fish and chips from the Fisherman’s Pier Fish and Chip Van. It serves fresh fish and scallops overlooking Tobermory Bay, just what we needed after a day exploring the island. The Mishnish Bar was the perfect place to spend a cold and windy night. There was a great gin selection, a cosy fire, pool table (I learnt that I am the worst pool player of all time) and great views over the bay from the window seats. 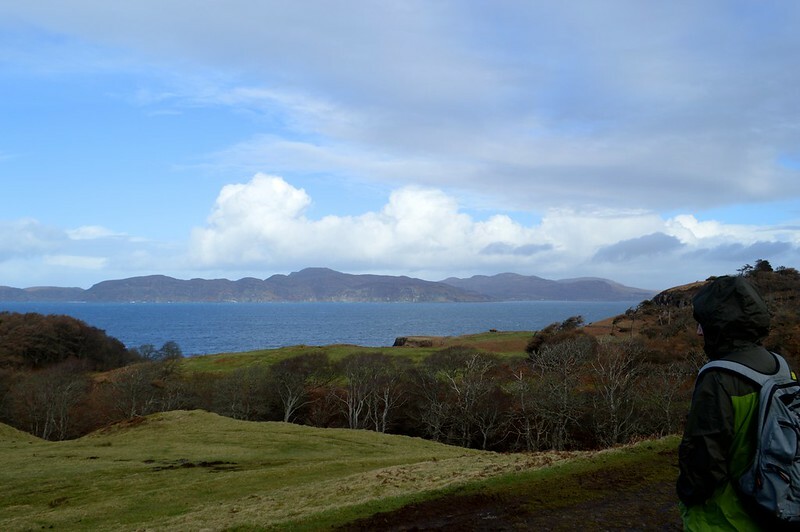 I've always wanted to go to the Isle of Mull and your photos make me want to book a trip there right now! Since I live in Scotland, I don't always appreciate how beautiful a place it is until I'm so far up north I'm practically falling into the sea. It's a shame that Cafe Fish and a lot of the B&Bs were closed when you went but that gives you the perfect excuse to return. Wow, this looks like such an amazing place to visit. I've always wanted to go to one of the scottish islands and this has made me want to book Mull right now. It's a shame some stuff was shut as you were out of season but looks like you still had a great time. Wow, beautiful photos and country side. Scotland is on my bucket list. Would love to tour by rail! My friends and I keep talking about another adventure to Scotland. Here is somewhere that we hadn't even considered. It looks absolutely beautiful! Even though it's a shame that you didn't get to see, I often travel places off season, so it's good to know what is available! Sometimes absolutely nothing is open. Thankyou! Really enjoying these posts. I've been to Edinburgh, Glasgow and Aberdeen but I'm desperate to see more of Scotland. sounds absolutely amazing!! I am loving those brightly coloured houses in your photo. This is so lovely, when we went to Mull as kids, it was pouring with rain so I think I'm going to have to try it again! Scotland has some amazingly beautiful sights. You've been on such an adventure! This really really makes me want to visit Mull... Your photos look incredible.